Last week, while millions of Americans were celebrating Thanksgiving, their sons and daughters were frantically working on their college applications due in December. One thing most of them probably had in common was an SAT test prep book or course that costs anywhere from $20 to $800. had grammatical errors, technical glitches, and aggressive advertising tactics. In many cases, it was hard to tell the difference between advertising and educational content. Students using the test prep sites reported receiving eMails from banks, military recruiters, or offers of financial aid or study aid. Apparently, free test prep site Number2.com did particularly well against its pay competitors. It offers preparation for the SAT, ACT, and GRE tests. Might be worth checking out for any worried parents or students out there, who are still awaiting their turn in the college admissions game. I agree completely. We've seen the same detailed review of online SAT prep services and Number2 came out very well. We recommend SAT students buy the College Board's book (costs under $20 and includes 10 practice test by the actual test maker), visit forums for SAT help such as CollegeConfidential, and get into a study group. - To apply for forbearance (this is an immediate solution for hard times when the new graduate is in impossibility to re-pay the amount of money and the need for student loan consolidation becomes apparent; it is a temporary period, when the graduate can postpone or delay his or her re-payments until a later time on a federal or direct loan after the beginning of the re-payment, and when the student doesn’t qualify for deferral). The forbearance must be applied through the lenders of the loans. - To consolidate the payments. i would like to mention one more site for Free SAT study material and Free SAT Practice Tests. 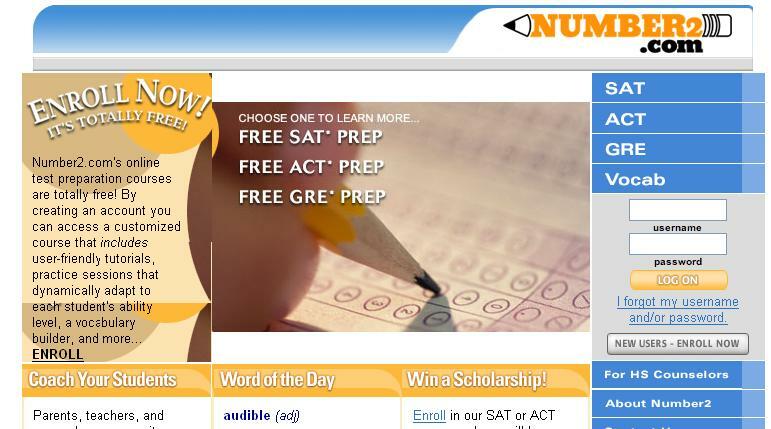 Unfortunately, there are too less free SAT preparation online, especially for subject tests.